What an awesome day! 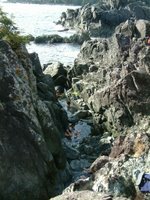 Check out these photos - this was our 'Sea to Sky' trip. From Tofino we went by boat for 1.5 hours up the coast to Maquinna Provincial Park. 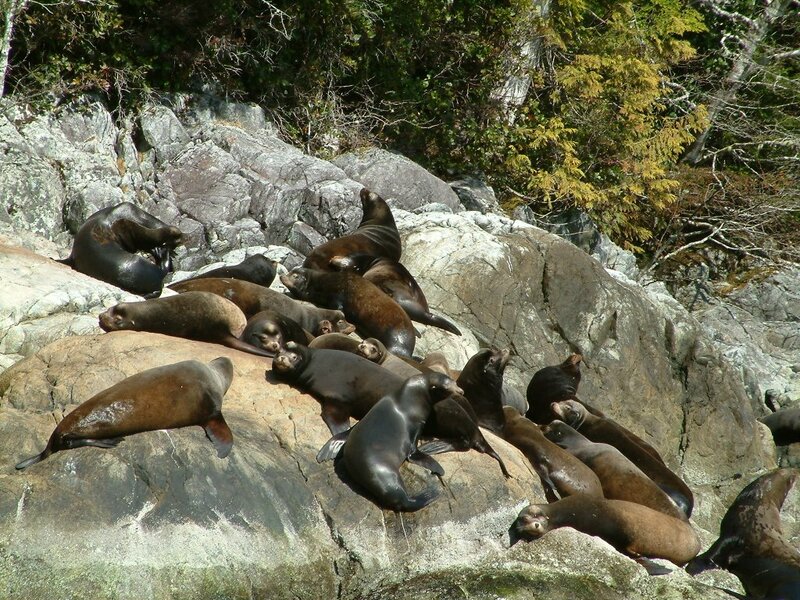 En route we did some wildlife spotting - dozens of sea lions basking in the sunshine. 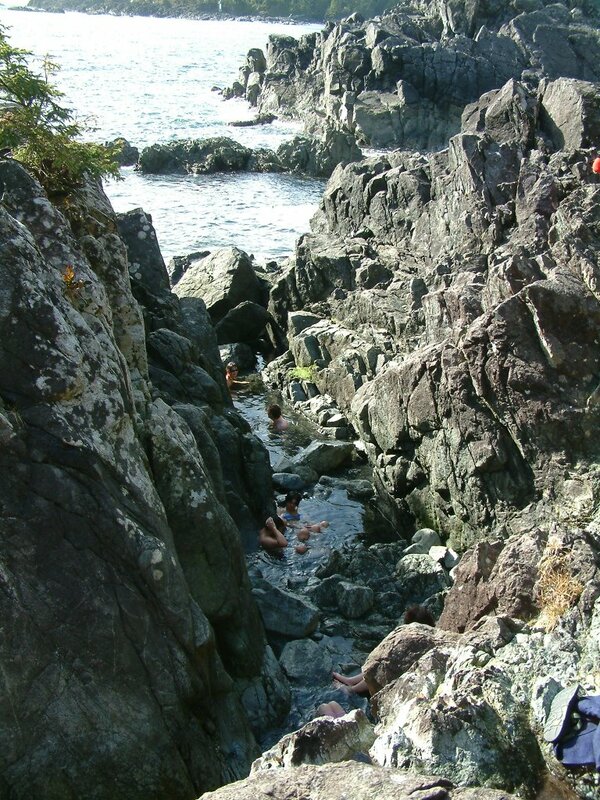 Then onto the park and Hot Springs Cove - this place is only accesible by boat or seaplane. It was a 25 minute walk through the rain forest before arriving at the Hot Springs. They are really small but nice and warm if you muscle yourself a spot in one of the pools - we just lazed around for just over an hour - till the 'shrivelled prune' stage before having to get out (to discover some Jap tourist had nicked our towel - yes thanks for that - she gave it back - decided she'd made a mistake but only after she'd dried off and it was soaking wet!). Our trip back to Tofino took just 15 minutes via Seaplane! Great, great views over the hundreds of tiny islands - complete wilderness for pretty much the whole journey - what a way to travel! This evening we went to one of the many local "whale Festival' events - a group called SWARM who were percussion musicians/dancers - basically they spent 90 minutes bouncing around like lunatics banging pieces of recyclables making some wicked vibes - Way cool - my ears will be ringing for days!